Personally i use Display Recorder allows you to screen capture on your iPhone. You can adjust the frame rate, speed and click. However, even though this app is wonderful it is only for jailbroken idevices. 1) You will be able to schedule 50 tweets at a time.You can schedule tweets and posts to go on at a certain time. But depending on the membership that you buy it will have certain restrictions. Enterprise allows for unlimited message scheduling. Pro lets you schedule up to 350 posts at a time, with access to the Auto Scheduler. Free lets you schedule one post at a time only. Enterprise offers unlimited enhanced reports. Pro includes an enhanced report plus 3 basic reports. Free includes 3 basic reports. 3) The Enterprise and Pro include uberVU via Hootsuite as an optional add-on.This is helpful because it lets you use detailed demographics pulling from many data sources. Pro and Enterprise include access to the free and paid App library, plus exclusive premium apps. Free includes access to the free and paid App library. Well, I am pleased to report that during July 29-30 our followers increased to 12. We are making progress which is good. Now all we need is to add more content to the Facebook and Twitter pages. If we do this there will most definitely be an increase in the followers or likes. When running a business or marketing a product you require a way to maintain your social media's where you post your information about your product/business. The easiest way to maintain your social media's while keeping track of it statistically. There are many social media dashboards that exist but there a few like Hootsuite which is web based so you can use it on your iPhone/iPad/Computer and it's very stable. To use a dashboard you just link all the social media accounts that you want to view. You can make timed updates to any or all social medias. Some dashboards even cater to small med businesses. In addition to Hootsuite it is cheaper than Sprout. 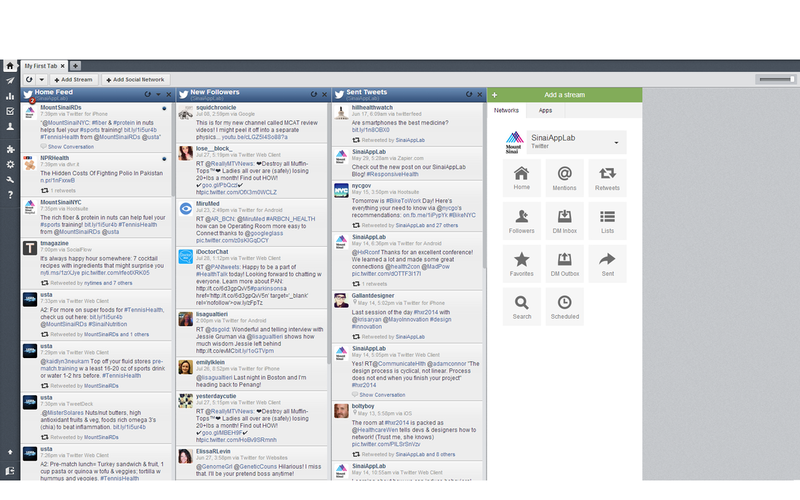 Sprout Social is another social media dashboard and it offer a lot more detail and analytic's. Both are very good dashboards, it just depends on how you want to manage your social medias. If you’re a beginner to social media management dashboards, Buffer is a good choice because it’s smart yet very easy-to-use. It’s quite simple, as you don’t have to deal with any technical set up. All you do is upload your content to Buffer and it’ll take care of all the sharing. Buffer offers a free version, so you can try it out before you pay for it. However, the full version is limited in the number of social media accounts it will manage as well as the amount of spaces one can stagger. One unfortunate downside to Buffer is that only a few social media websites are supported, basically just the main ones. One major advantage of Sprout Social is its price. It costs $39 per month, or $59 per month for a deluxe account and $99 per month for a premium account. If you’d like, you can try out all of their plans with a 30 days trial before investing your hard-earned money. This social media management dashboard provides users with easy and gorgeous reports. If you’re someone who doesn’t really have an eye for design, then you’ll love this feature as it’ll provide you with a beautifully designed report at a click of a button. Not only does this dashboard provide you with reports, it allows you to compare your own business with other competitors in terms of daily mentions and enagements, a conversation history, and it has a customizable inbox. Chances are, you’ve heard of Hootsuite as it is definitely one of the more popular of the top social media management dashboards for 2014, if not the most popular. The reason for its popularity is that it does an excellent job with social media management. If you choose to go with Hootsuite, it will provide you with support for both brand and company pages on various social media websites, such as Twitter, Facebook, Google+, and LinkedIn. Hootsuite will also provide you with a scheduling and sharing tool, as well as an Auto Schedule Feature. One user friendly social media dashboard is MultisocialSuite. What makes this dashboard special is that it includes a system of viral blogging, which will provide you with unrivaled social media reach. Its system of viral blogging is easily a contender to Empower Network. MultisocialSuite and HootSuite are quite similar to each other, except the former has an Empower Network built in while the latter doesn’t. Therefore, you may want to go with this social media dashboard if you want a bigger bang for your buck. SocialOomph provides both paid and free social media management services. Not only can it connect to social media websites, but it can also connect to your blog. With SocialOomph, one can schedule as many mentions, tweets, and track keywords as they’d like. You can set it to automatically follow any new followers you gain, which will save you tons of time. If you’ve never used a social media management dashboard before for your business, now is definitely the time to start. While there are many excellent social media management dashboards out there, you should start with the top social media management dashboards for 2014. Today I was on an app called "FeaturePoints" which I like to occasionally go on in my free time. It's a great app that lets people accumulate points by downloading apps and using them for a certain amount of time. With the points you gain you can purchase things. But the good things about this is that FeaturePoints is acting as an advertisement for other apps. And there are many other apps like FeaturePoints that do this promotional things. This is only one app marketing strategy. There is also software like AdMob which helps advertise your app in other apps, like a banner or short clip. The best and most efficient way to promote/advertise your app is to showcase it on a micro-site (a one or two page showcase about your app). Also, another good way to promote is a video, which is what Pascal is making. The video is a prominent solution to advertising because you can add it to any media site like (YouTube, Vimeo, etc). Another way to promote you app is through a podcast/radio but those are not extremely robust because it's not likely to attract a large group of audience. Today I got to use the Google Glass, I attached the given glass frame and turned it on. As much as I was excited when the Glass turned on I was disappointed to see that the Glass functions weren't working because it gave the error "voice/home/camera stopped unexpectedly". Though it might be because it wasn't configured to the network. I had some other problems with the Google Glass was that it was hard to tell if was on or inactive, in the inactive state the Google glass voice functions "Ok Glass" available. For a quick demo run the Glass was interesting to look at but could use some changes I found that other people had similar problems with the different on/off states for Glass. It would be easier if it were just two different states. But I hope to get the Glass running properly to see it at it's fullest and work with the Glass API. I have to admit it was fun see a screen being projected in front of me and it didn't feel weird seeing it. I thought I would be seeing it from one eye since the Glass eyepiece projects in a way that its seen with both eyes. The touch functions and head tilt functions work great. It's sensitivity is crisp and recognizes when I nod of look left and right. 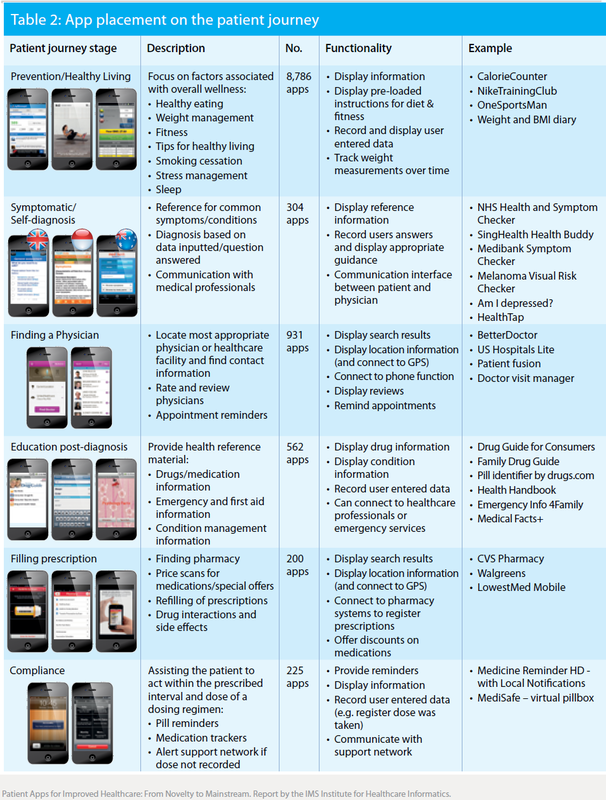 Depending on what kind of health app you are developing it will fall into a certain category. It's crucial to figure out where you fall within these categories because will help better to identify your target group(s). Now that were in an age were mobile devices are a major part of peoples life. App development is becoming a promising new field for many computer scientists. Primarily, Healthcare applications for patients. "Some of the most advanced medical apps are the 100 apps already approved by the FDA" but most apps aren't for general patients and it must be approved by the FDA (imshealth). Also, "50% of healthcare apps available to consumers can be downloaded for free and are produced by a variety of types of developer" which is important to remember that if you are competing with other healthcare apps out there it's better to see what your competition has done (imshelath). Also when creating a healthcare application you need to take into consideration if the app will cover the full patient journey, are therapy area specific or demographic specific. 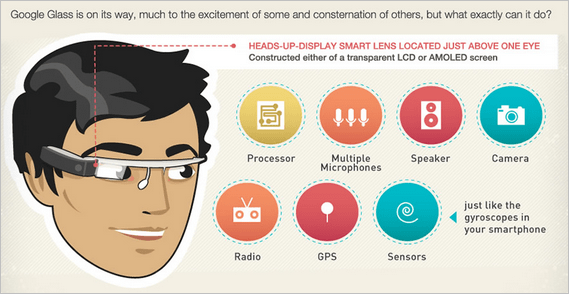 Eventually, we can even make gadgets that functions with the applications for the doctor to use on his patients. This way the doctor doesn't have to purchase expensive separate instruments, everything is on his device. This way the device is also multipurpose and can perform many different tasks/operations. Just like the video bellow, it a clinician on the go. These tools are all on the phone so if an accident happens somewhere the doctor can immediately respond and use all the applications/gadgets b/c it's all on his phone and convenient. Today I learned a bit about "Big O of notation" from Mike. There are many algorithms that a computer scientist can use but the career changing question is which one is the best? In the Big 0 notation is just the classification for different types of algorithms. There is Big 0(1) which is just going from position a in array to position b in an instant but it takes a constant time. There is also Big 0(n) which is using a key to find the value in the array, There's also more complex ones like Big O(n^2) which rises up more faster at an exponential rate and Big O(log[n]) which rises and goes to the right. So, basically all these different types of curves are types algorithms. And the best algorithm is the one that is the fastest. The algorithm that can get the value from the array the fastest is also more likely to be used to be implemented into databases and other things. Algorithms are crucial part of a computer scientist's career but I hope to learn more about algorithms and the other areas of the field in time. Today I went to the library to work on something a little different for a change than goggle api or apple health-kit. I decided to check out some html & css styling for once. I'll provide the html file and the css styling file that gotoher to create a small test site I created. It was fun in the making of the test site and I will probably continue to create a website on my free time. I hope to create a website with more features and a better looking appearance. Overall it was enjoyable and something i look forward to trying more of. Yathin Latif is a upcoming sophomore originally a Biology major but became interested in computing and code. He is now working towards a BS in computer science. Learning new languages and tools to further his goals. This summer he hopes to learn as much as possible over these few weeks. Looking to learn more about in software and mobile development.